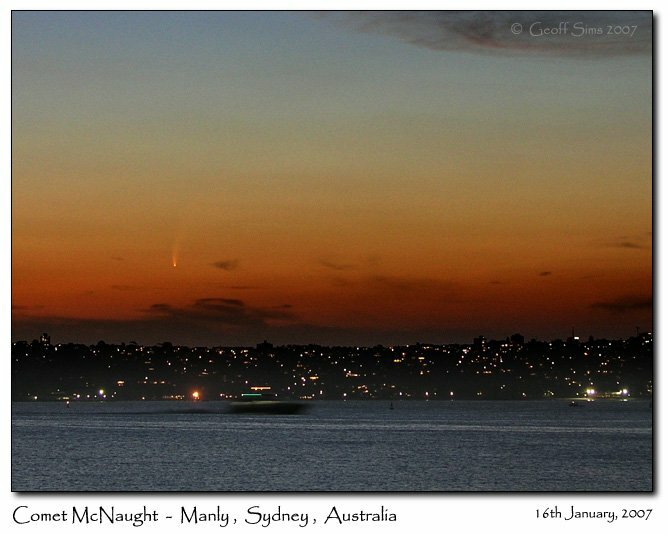 Comet McNaught really put on a show for Sydney tonight, estimated mag was -2.5 (+-0.5). 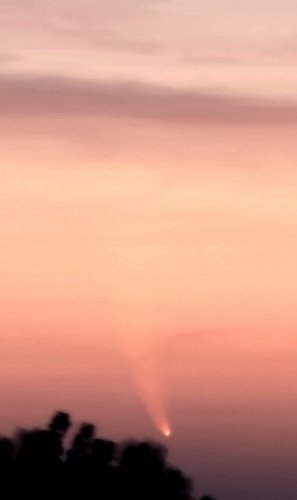 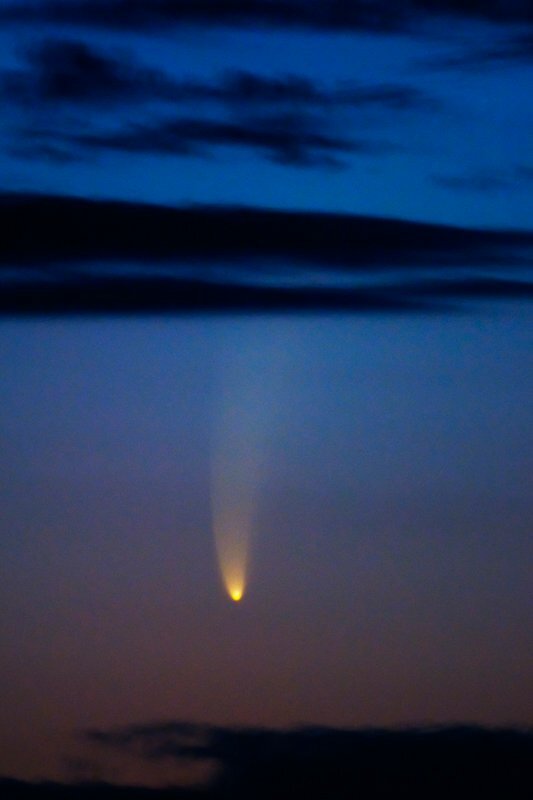 It was easily visible on the horizon for about 30 mins after sunset! 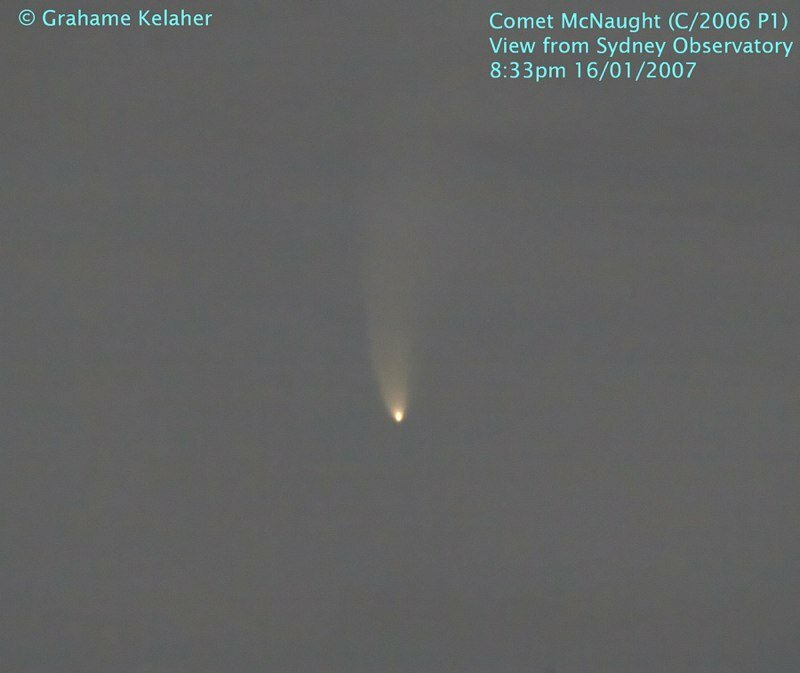 Photo details: Canon 20D, ISO 200 with a 70-300mm lens, f/5.6, with 2x teleconvertor. 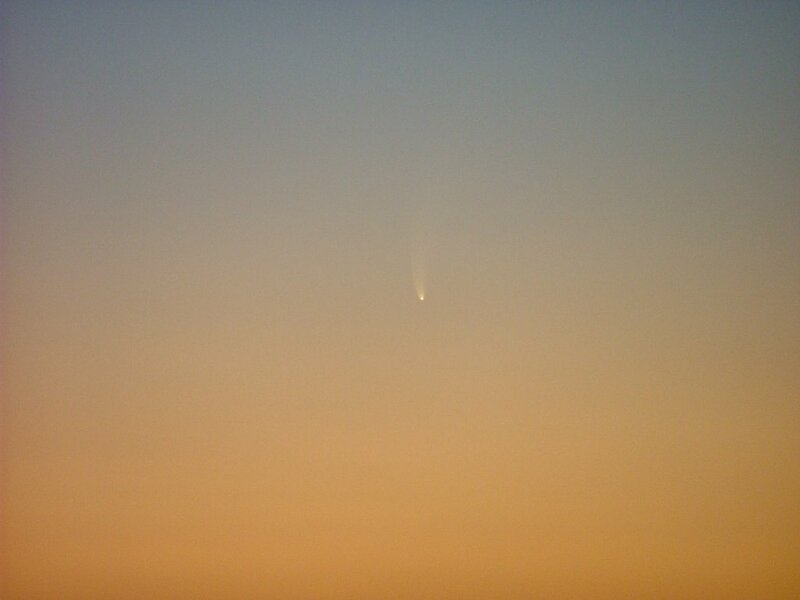 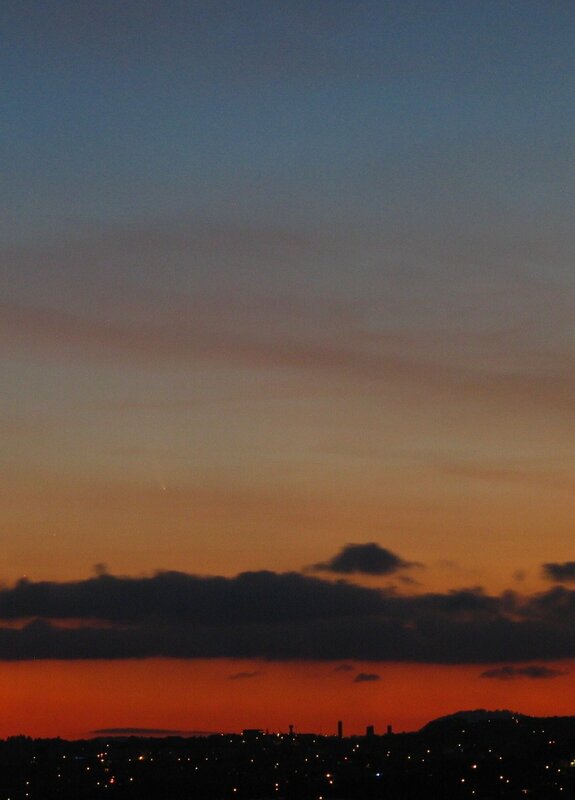 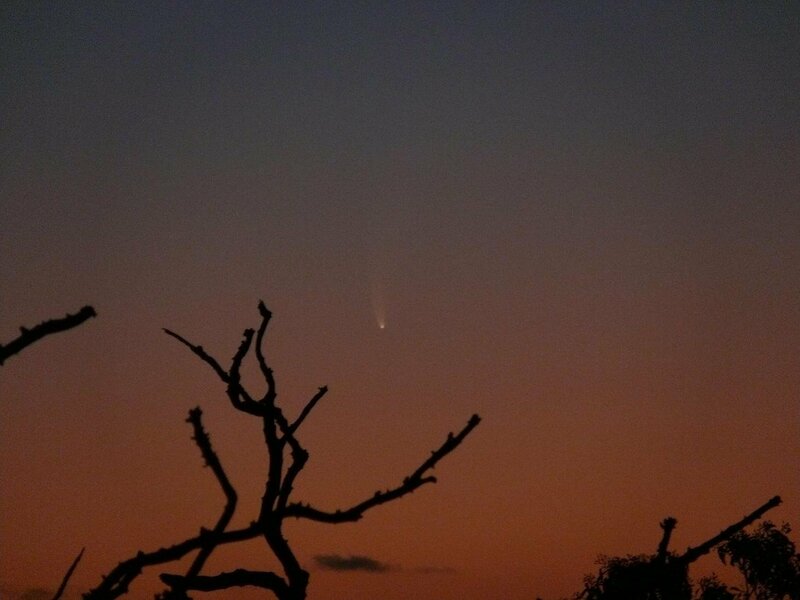 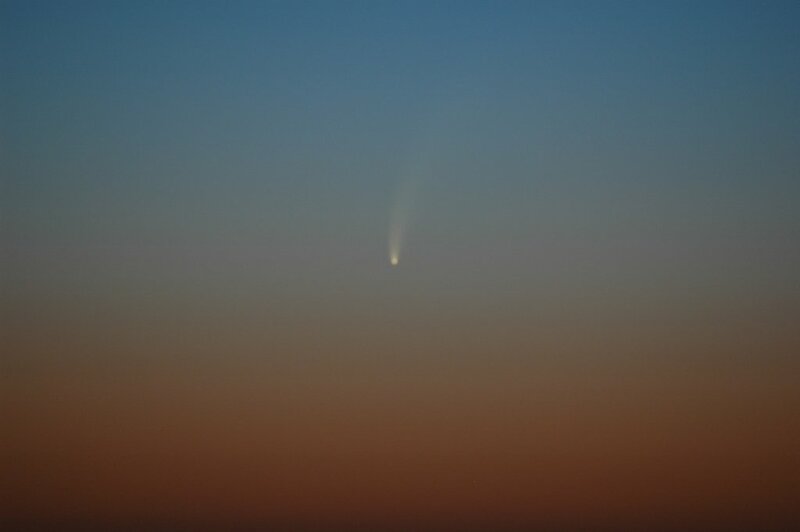 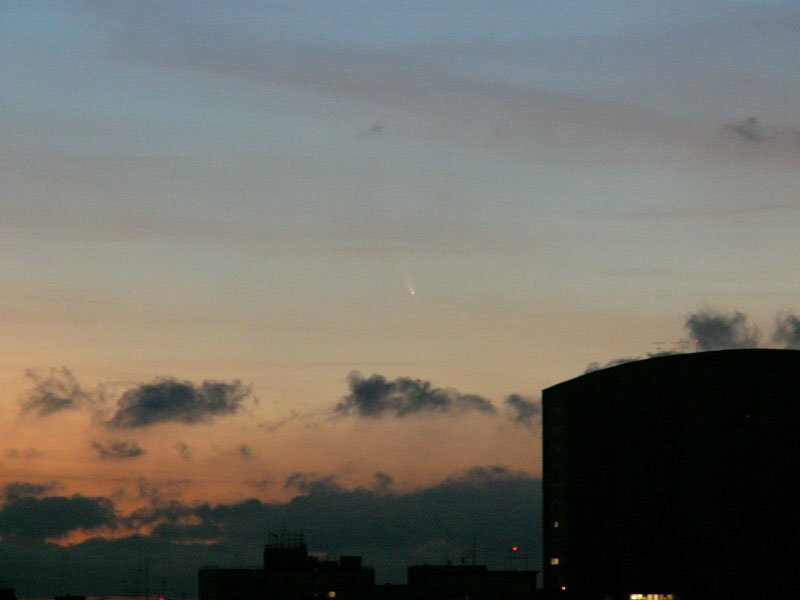 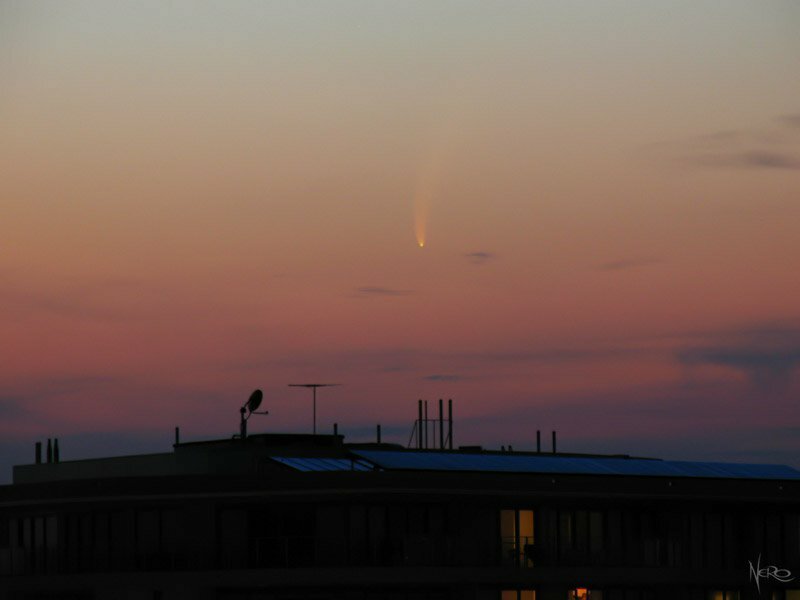 Comet McNaught put on a great show last night and its tail was clearly visible to the naked eye. 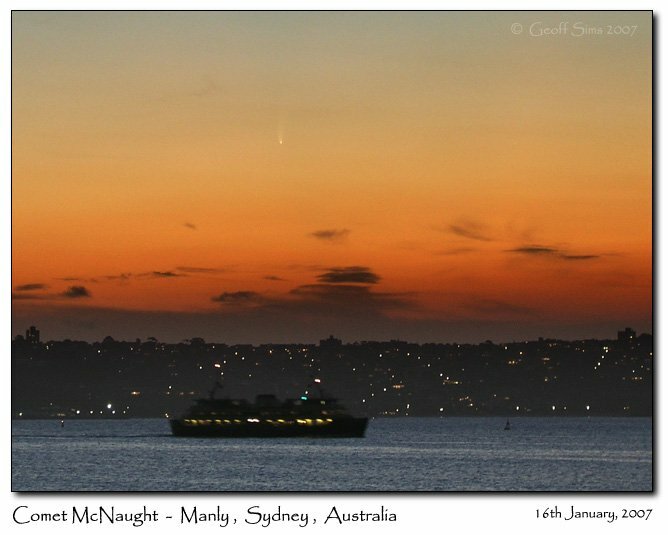 It was a beautiful scene: the Comet and Venus in the twilight sky, setting over beautiful Sydney Harbour - note also the passing Ferries. 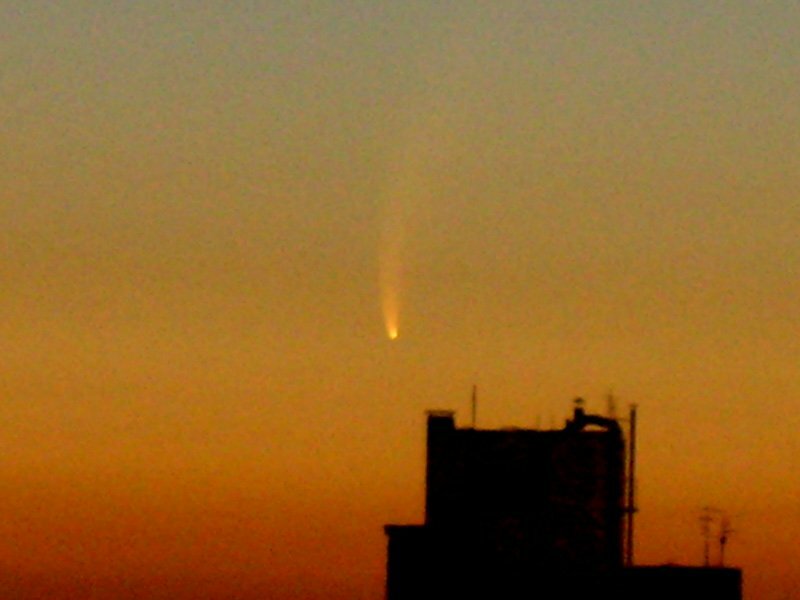 Photos taken with an Olympus C-5050. 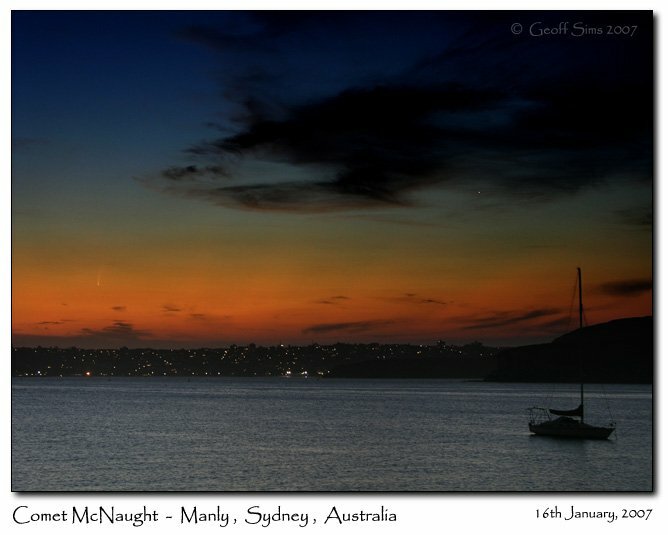 The long summer twilight made viewing a little difficult, but the photos came out nicely! 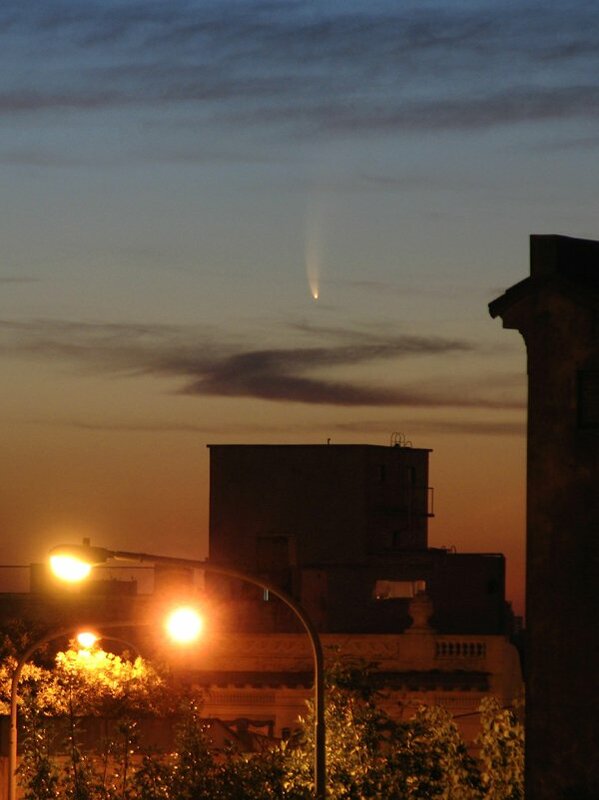 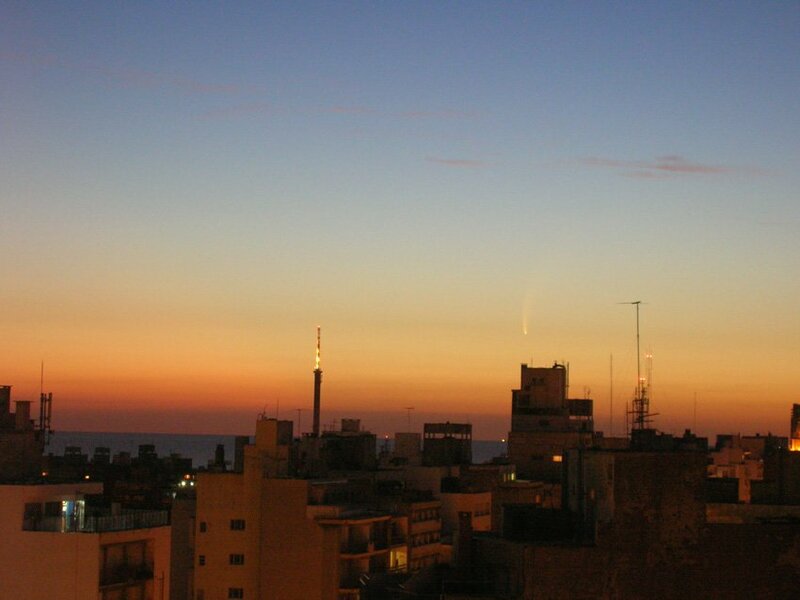 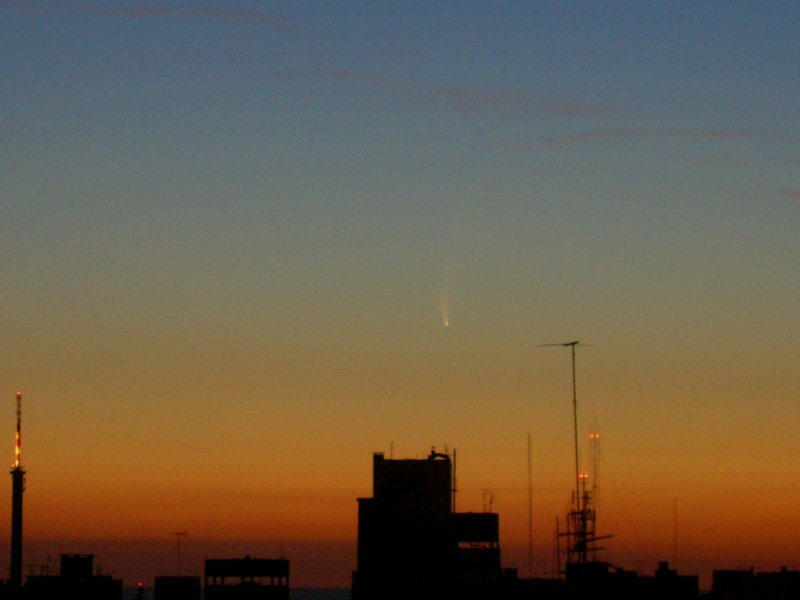 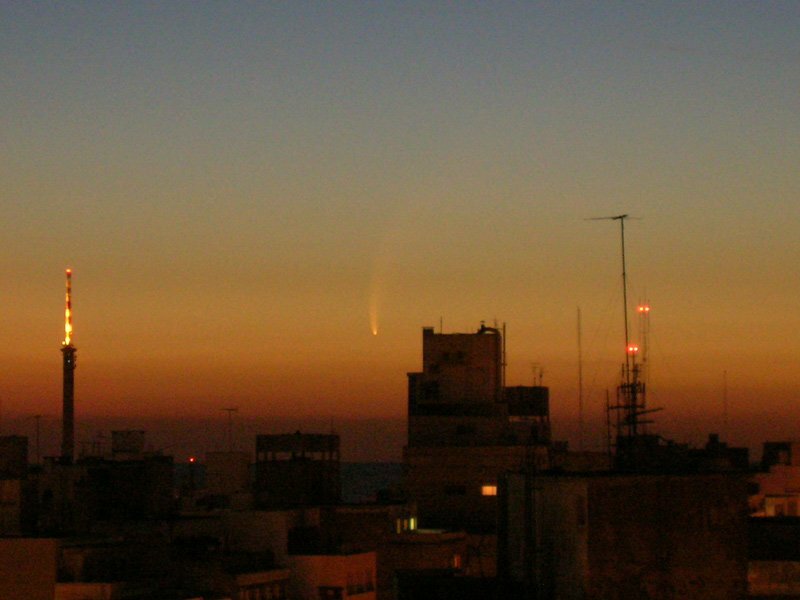 Here in Argentina, the Great Comet McNaught is a real hit. 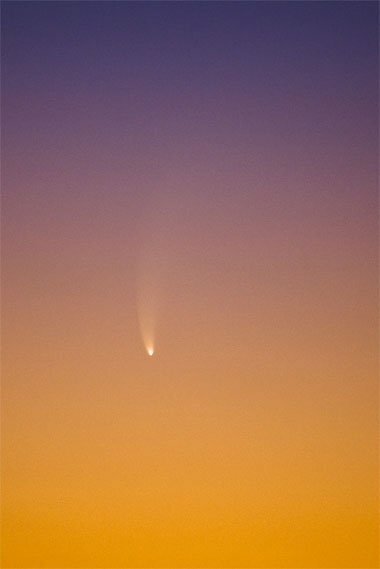 It's a wonderful sight after sunset. 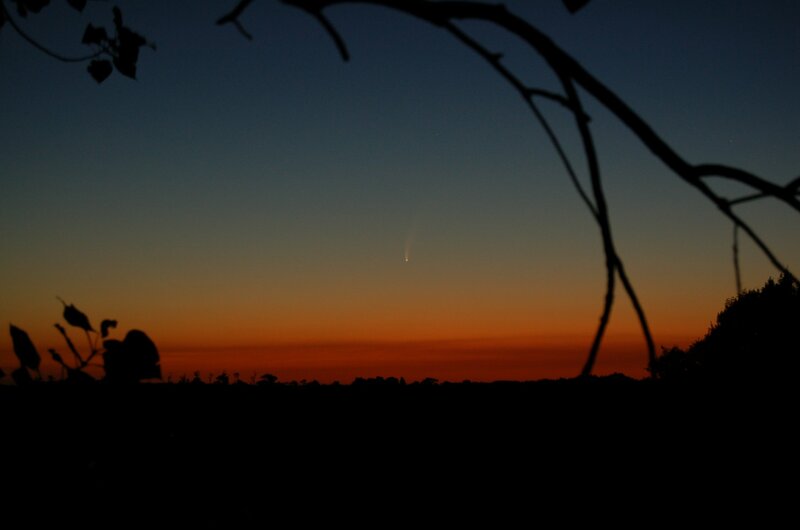 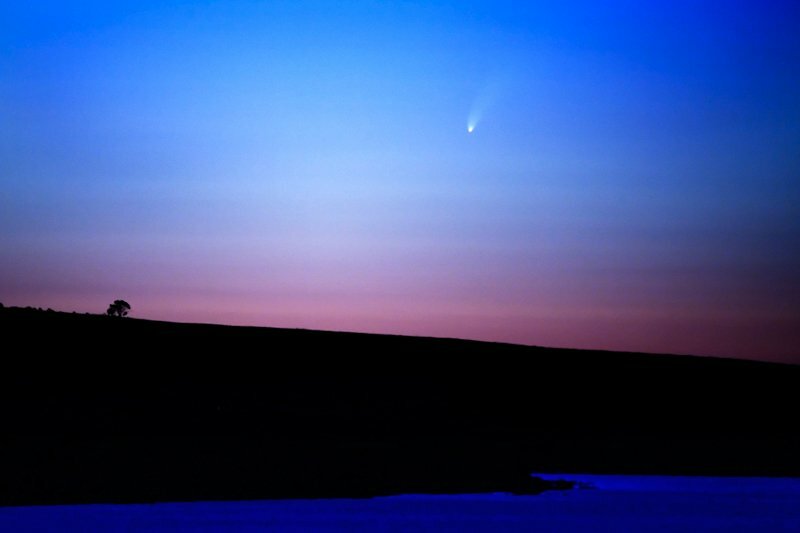 The comet is around magnitude -3, and its bright and curved tail is easy to see with the naked eye. 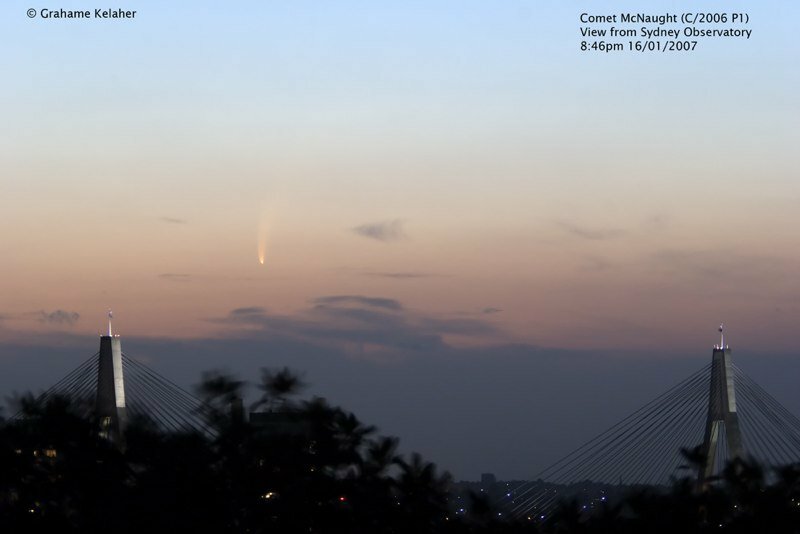 It looked as though we would miss out on a view of Comet McNaught due to increasing cloud cover on the western horizon, but we ended up with a more spectacular show than that of Monday night because the comet was in a darker part of the sky. 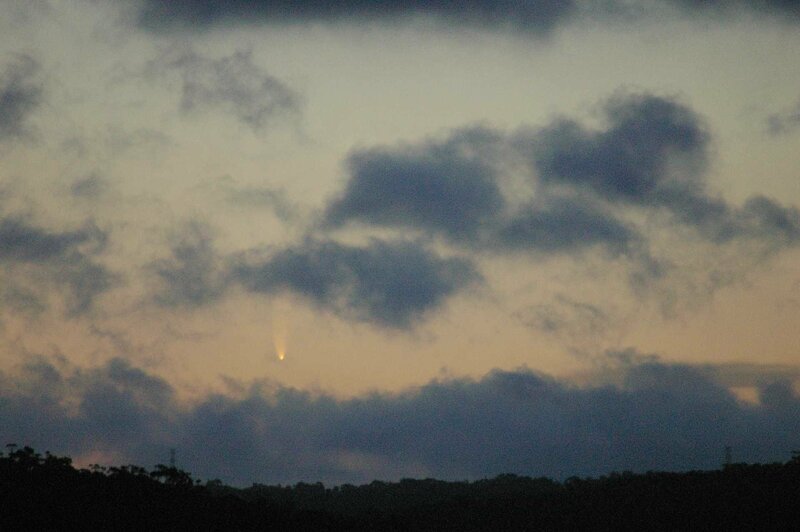 Comet McNaught put on its first really stunning evening show for us in the southern hemisphere. 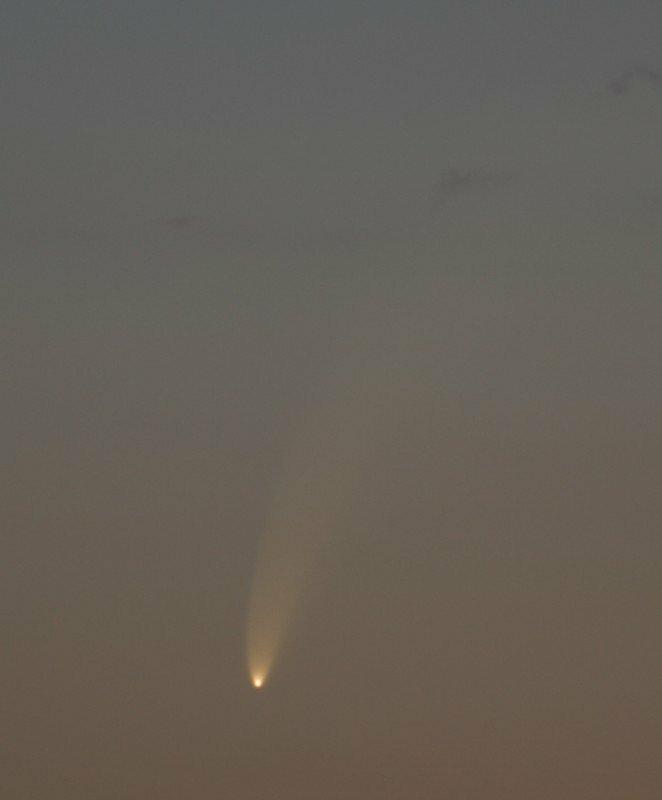 Photo details: Modified Canon 300D, 300mm zoom lens at f5.6, 1/50s, iso 400. 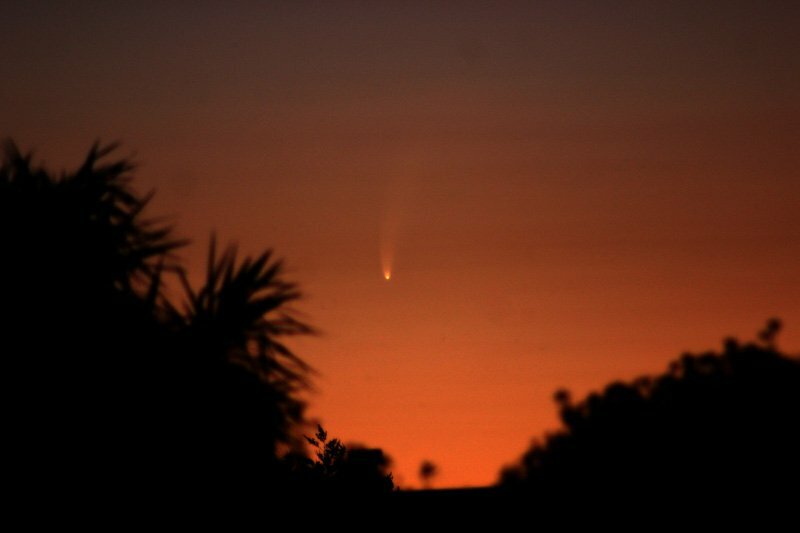 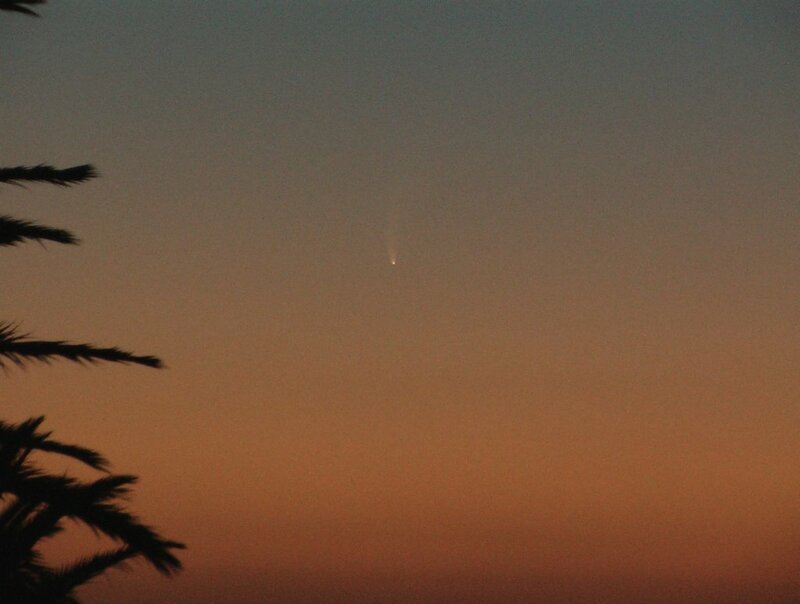 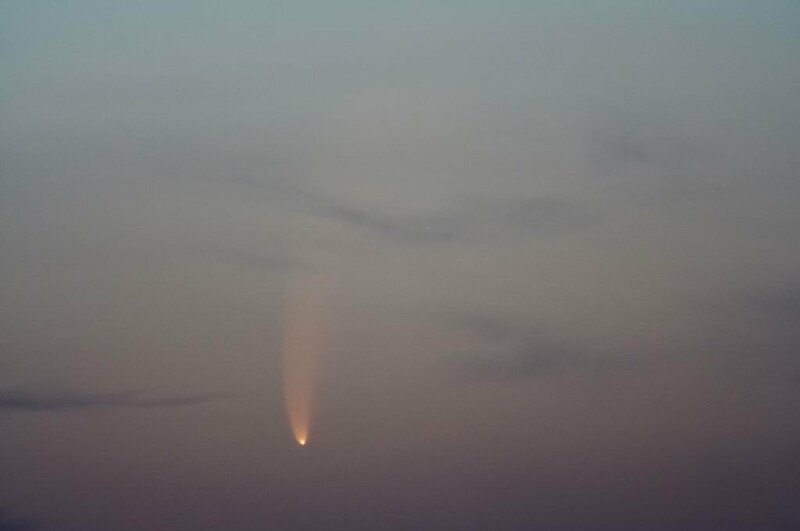 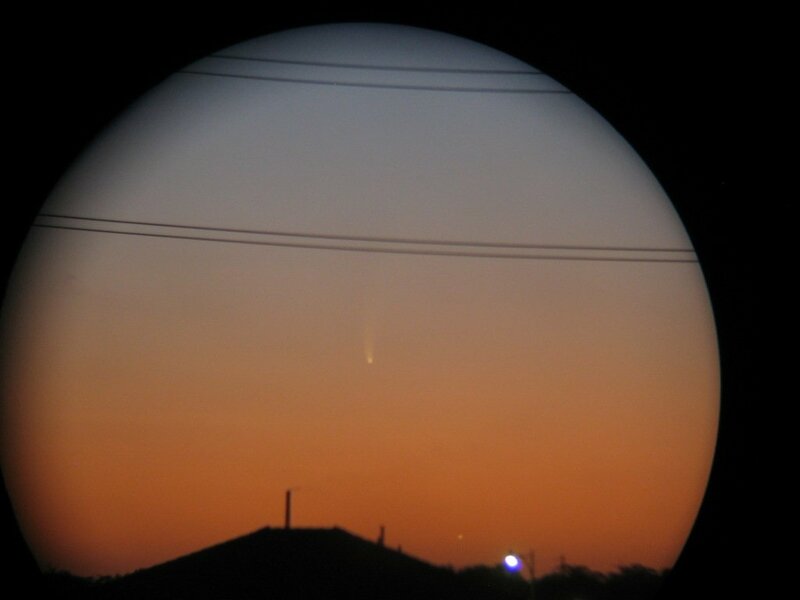 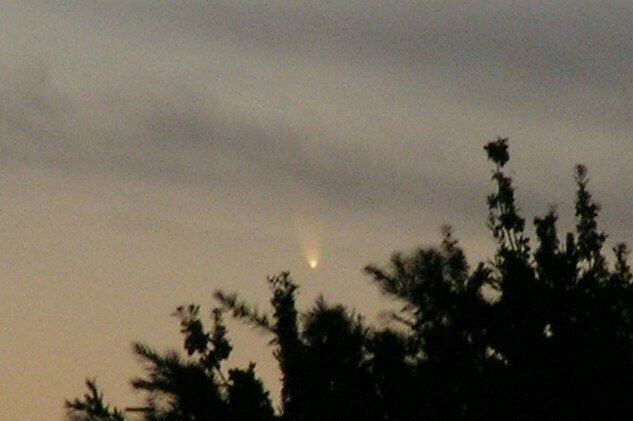 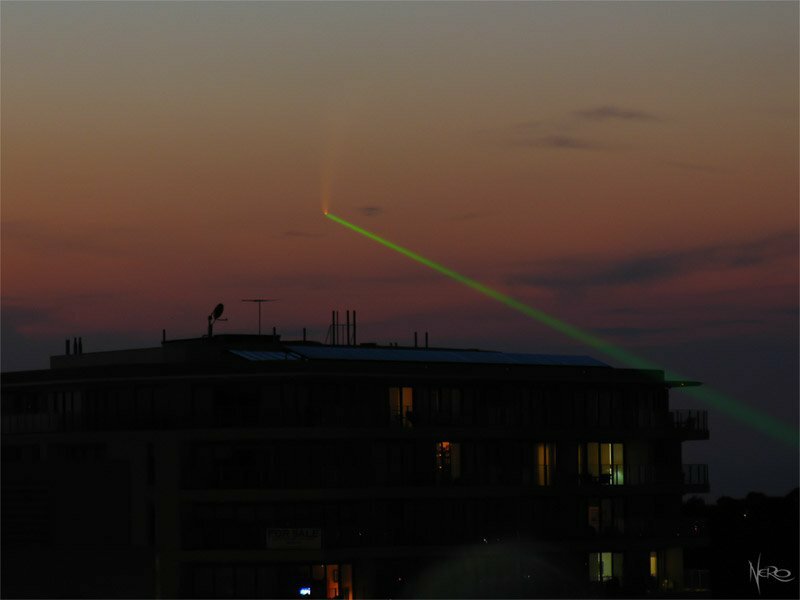 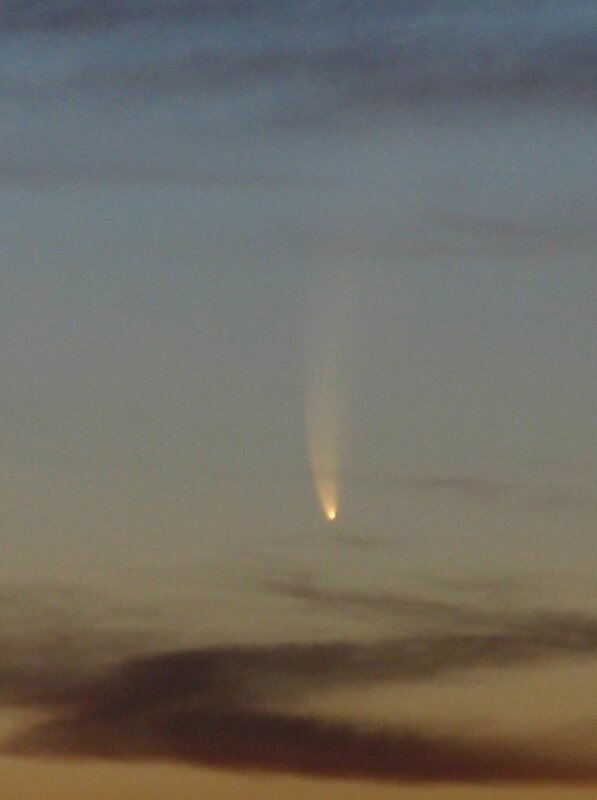 Two days after first being glimpsed from Fremantle, McNaught put on a spectacular naked eye display. 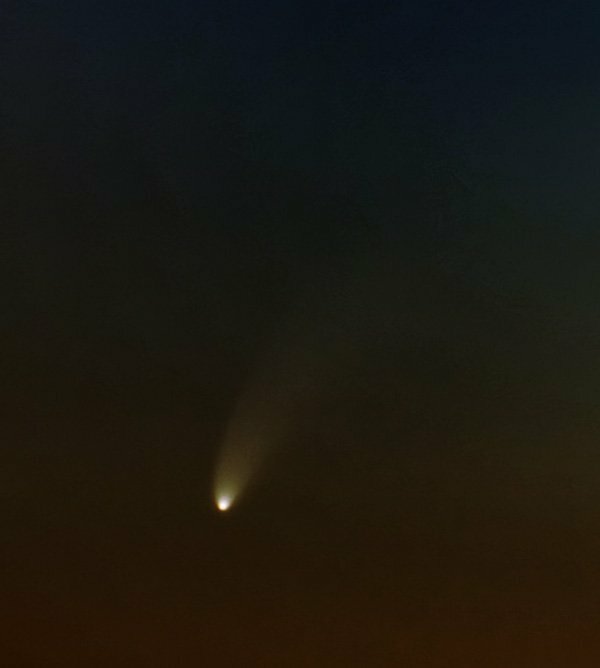 These pictures were taken on the second night of visibility (Jan 16 EST) which was much more impressive than the night before. 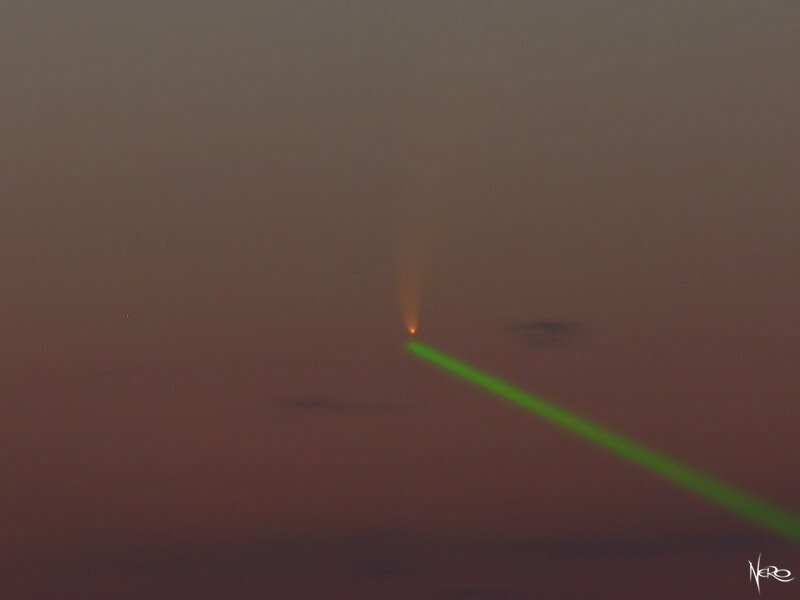 I used a >250mW green laser to target and mark the location of the comet as it was moving swiftly (as it approached the horizon).